Under "normal" wait-time conditions airlines recommend for travelers with economy tickets to arrive and check-in at least 2 hours ahead of their international flight. Due to the ongoing partial government shutdown one should expect extended wait times. 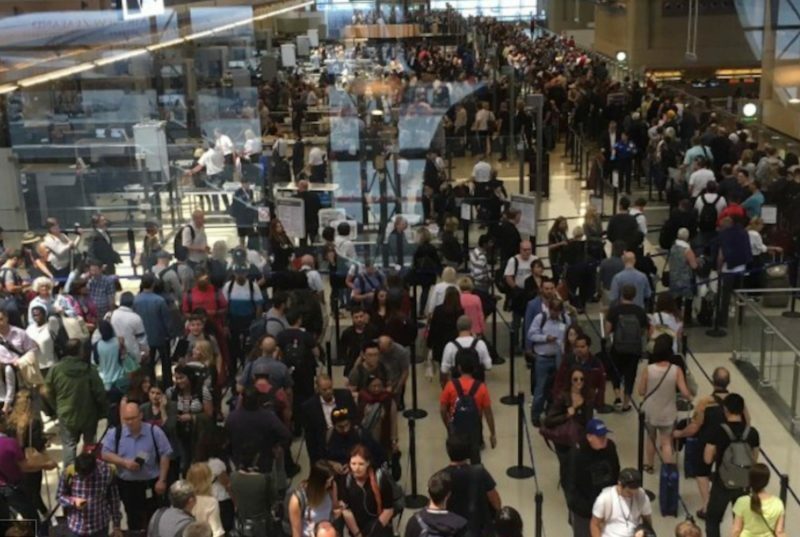 Reduced TSA staff will potentially mean longer security lines at the airport. We thus recommend allowing for an additional hour in US airports. Wait times for flying international airports should not be affected by the US shutdown.